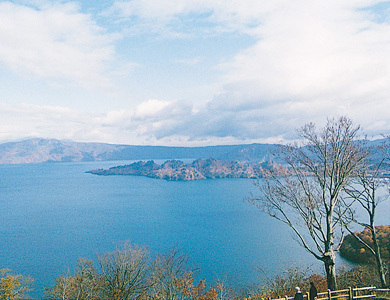 Lake Towada and the Oirase River, which runs from this lake, make a beautiful landscape with plentiful green and water. 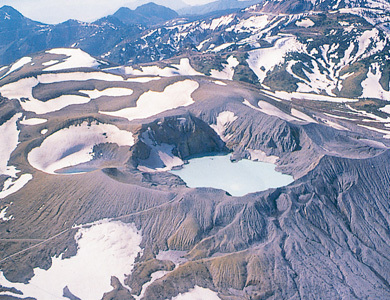 There are volcanoes such as Mt. Iwate, coniferous forests, and many moors in Hachimantai. This park offers climbing and hot springs. This park extends along the seashore for 180 km from Kuji in Iwate prefecture to Kesen-numa in Miyagi prefecture. The rugged coastline is splendid, and is called "The Alps of the Sea." This park offers a breeding place for black-tailed gulls, petrels, etc. This park is composed of many mountains. Mt. Dewa-Sanzan is famous for mountain worship, Mt. Asahi, Mt. Iide and Mt. Bandai are also located within the park boundaries. 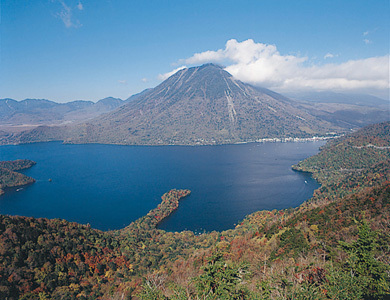 The view of Urabandai and Lake Inawashiro is beautiful. This park is surrounded by mountains, forests and a lot of lakes. Antelopes and black bears live in this park. Kegon Falls, Lake Chuzenji and Senjo-gahara are representative of Oku-Nikko. Oze-gahara has many moor plants such as mizu-basho (Lysichiton Camtschatcense Schott). 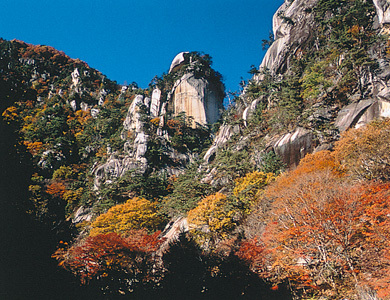 Gorges such as Kinugawa and Shiobara, and the foot of Mt. Nasu are very beautiful. Toshogu Shrine is also famous as a World Cultural Heritage Site. This park is the second largest national park in Japan, and extends through Gunma, Nagano and Niigata prefectures. This park features a number of volcanoes including Mt. Asama, Mt. Myoko and Mt. Tanigawa, which are 2,000m class. The Shiga, Myoko and Sugadaira plateaus can be seen in this park. There are many coniferous and broadleaf trees and old stratum mountains such as Mt. Kumotori and Mt. Mitake. Near Tokyo, this park provides the headwaters for the Arakawa, Chikuma and Tama rivers. Natural forests and gorges offer good recreational sites. Mt. Mitake and Mt. Mitsumine are ancient places of mountain worship. This park is composed of over 30 islands, including the two main islands of Chichijima and Hahajima. The Ogasawara archipelago is located 1,000-1,200 km south of Tokyo. 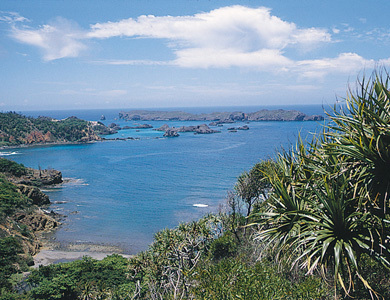 It is the smallest subtropical national park in Japan. The main feature of this park is its many indigenous plants and animals. Mt. 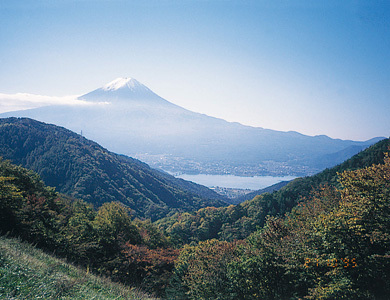 Fuji (3,776m), the highest peak in Japan, has aoki-gahara woodlands and five dammed lakes at its vast foot. 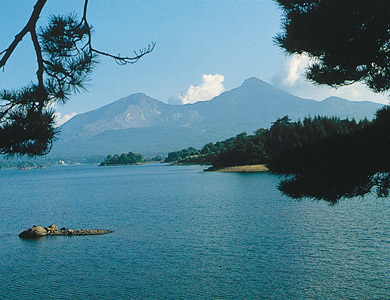 In Hakone, Lake Ashinoko, and volcanoes such as Mt. Kamiyama, Mt. Koma-gatake and Sengoku-hara make miniature garden-like views. Izu has wonderful views of the Amagi mountain range and the seacoast. 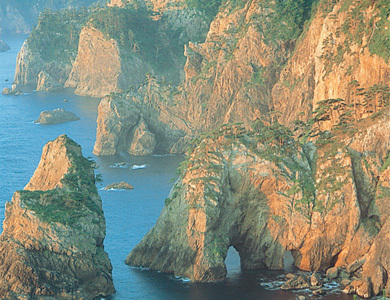 The Izu-Shichito (Seven Islands) are rich in peculiar nature views. Godochosha No. 5, 1-2-2 Kasumigaseki, Chiyoda-ku, Tokyo 100-8975, Japan.